Terma Delfin Designer Electric Radiators provide an attractive heating system for style-conscious homes, complete with a stunning anthracite finish, curved design, and Bluetooth enabled smart control. This is the largest sized Delfin in the range, offering energy-efficient heating for airy living rooms, spacious master bedrooms, and extensive dining rooms. 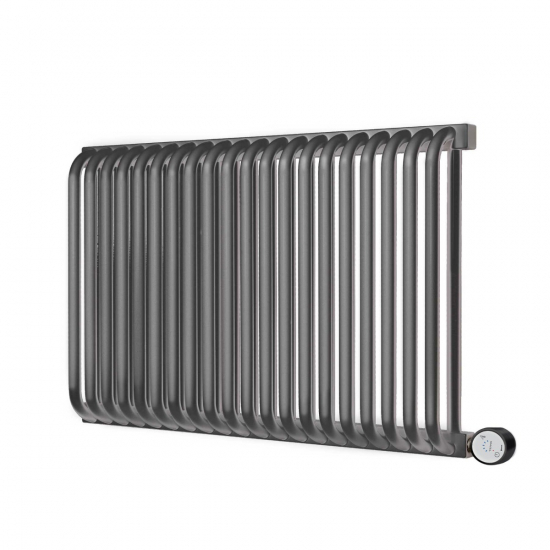 Terma Delfin Designer Electric Radiators are the sophisticated choice for home heating, with gently curved bars, a minimalist aesthetic and controllable heating element. This large 1200w version of the Delfin is perfect for spacious interiors and comes finished in anthracite, with white versions also available.